The Kings are entering the year without Rajon Rondo, who had a really good year for the Sacramento Kings and was running the offense well. Currently, the Kings do not have Rondo no longer l, as he signed with the Chicago Bulls, but they do currently have Darren Collison and Isaiah Cousins listed as the team’s only two point guards, but Cousins is a rookie and will have to play well to see minutes, which is hard for rookies nowadays in the NBA. Collison has been in trouble with the law and we will see how that plays out, but overall he is the starter. The Kings are thin at the point and need another point guard before the season starts. Interestingly, there is one point guard that has been trending around the league after his superb summer league display. That point guard is Tyus Jones, who is on the Minnesota Timberwolves. Jones is making a bid in Minnesota to play more minutes after his performance, but they just drafted Kris Dunn in the first-round this year and still have Ricky Rubio under contract, which they do not want to part ways with him right now. 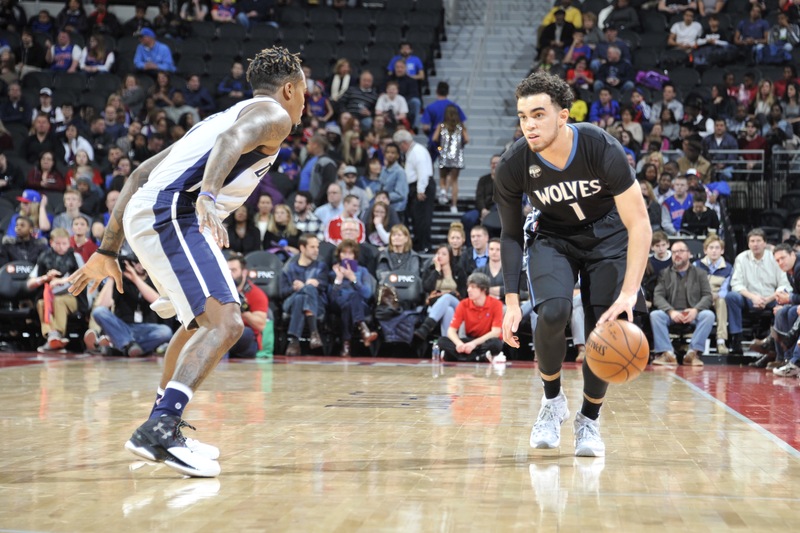 However, if Tyus Jones gets traded to the Kings, expect him to see tons of minutes and a chance to push Collison for the starting job. Jones should cost the Kings maybe two second-round picks or a decent player and a second-round pick. Shockingly, Jones could come at a high price and that could me the Kings trading a future first-round pick. Jones, knows how to run an offense and can be a good defender with a nice shot from the whole field. Finally, the 19-year-old point guard played in 37 games last season. In those 37 games, he shot 35 percent from the field and 30 percent behind the arc. Lastly, he averaged 9.8 points, 1.9 steals, 6.8 assists, and 3 rebounds per game. Next Post Who Are The Three Pitchers Heading To Oakland?